Organized at Seymour, Ind., and mustered in September 12, 1861. Moved to New Albany, Ind., October 25; thence to Bardstown, Ky., December 25. Attached to 15th Brigade, 4th Division, Army of the Ohio, to June, 1862. Unassigned Railroad Guard, Army of the Ohio, to September, 1862. District of Louisville, Ky., Dept. of the Ohio, to November, 1862. District of Jackson, Tenn., 13th Army Corps (Old), Dept. of the Tennessee, to December, 1862. 2nd Brigade, District of Jackson, Tenn., 16th Army Corps, to March, 1863. 2nd Brigade, 3rd Division, 16th Army Corps, to August, 1863. True's Brigade, Arkansas Expedition, to January, 1864. Unassigned, 2nd Division, 7th Army Corps, Dept. of Arkansas, to April, 1864. 1st Brigade, 3rd Division, 7th Army Corps, to May, 1864. 1st Brigade, 1st Division, 7th Army Corps, to February, 1865. 2nd Brigade, 3rd Division, 13th Army Corps (New), Military Division West Mississippi, to April, 1865. 2nd Brigade, 2nd Division, 16th Army Corps, Military Division West Mississippi, to May, 1865. SERVICE.--Duty at Bardstown, Ky., until February, 1862. Advance on Bowling Green, Ky., and Nashville, Tenn., February 10-March 3. Guard duty along Nashville & Chattanooga Railroad until September, 1862. Operations against Morgan July 4-28. Near Edgefield Junction August 20 (Detachment). Pilot Knob August 20. Siege of Munfordsville, Ky., September 14-17 (Cos. "A," "B," "D," "F" and "H"). Captured September 17. Paroled and sent to Indianapolis, Ind., and duty there until November. Moved to Jackson, Tenn., November 1-10. Operations against Forest in West Tennessee December 18, 1862, to January 3, 1863. Huntington December 29-30. Parker's Cross Roads, near Jackson, December 30. Clarksburg December 30 (Detachment). Red Mound (or Parker's) Cross Roads December 31. Duty at Jackson, Colliersville and Memphis, Tenn., until August, 1863. Moved to Helena, Ark., August 28. Steele's Expedition to Little Rock September 1-10. Bayou Fourche and capture of Little Rock September 10. Garrison duty at Lewisburg, Ark., until March, 1864. Reenlisted March 2, 1864. Steele's Expedition to Camden March 23-May 3. Antoine and Terre Noir Creek April 2. Prairie D'Ann April 9-12. Camden April 15. Liberty Post-office April 15-16. Camden April 16-18. Red Mound April 17. Jenkins' Ferry, Saline River, April 30. Duty at Little Rock until July. Non-Veterans until December. Veterans absent on furlough July-August. Duty at Little Rock until January, 1865. Carr's Expedition to Saline River January 22-February 4. Moved to Mobile Point, Ala., February, 1865. Campaign against Mobile and its defenses March 17-April 12. Siege of Spanish Fort and Fort Blakely March 26-April 8. 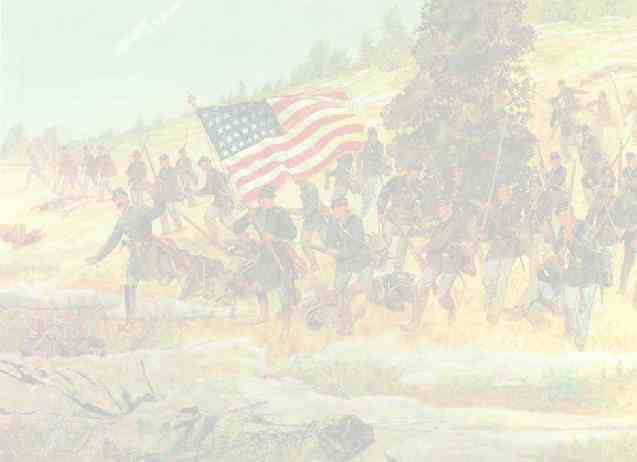 Assault and capture of Fort Blakely April 9. Capture of Mobile April 12. Whistler's Station April 13. March to Montgomery April 13-22. Consolidated with 52nd Indiana Infantry May 25, 1865. Regiment lost during service 3 Officers and 54 Enlisted men killed and mortally wounded and 3 Officers and 158 Enlisted men by disease. Total 218.